Recently I've been hit with a revelation that I'm not as fit as I imagined I am, in fact I was far from being fit. A better version of myself is still out there, one which I'm determined to become soon. Enter the all-new AnleneMove Programme which prompted me to kick start my 21-day challenge with consistent walks and exercise. Keep Moving and Keep a Healthy Lifestyle, these two words will be my mantra for now. The reason I'm doing this, which I've happily listed down in the AnleneMove programme as below. AnleneMove is the first step to a more active and healthy you! It is a custom habit-forming programme tailored to your lifestyle and preferences, combining technology with behavioural psychology and rewards to motivate and educate you on healthy nutrition rituals and easy to do activities based on your personal goals! Get motivated, so that movement and nutrition becomes a seamless part of your day, every day! 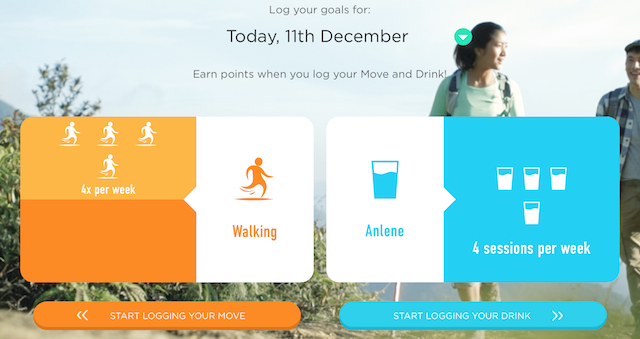 AnleneMove programme combines technology with behavioural psychology and rewards to motivate, track and educate you on healthy eating habits and easy to do activities based on your personal goals. It’s time to get motivated so we can do the things we love, every day. Personalized your exercise pattern and how you care for your bones. AnleneMove has a dashboard made just for you to see how you’ve been doing. They will also keep you updated on your progress with weekly progress reports! AnleneMove syncs with AppleHealth and GoogleFit to seamlessly connect your devices, providing you with one comprehensive and customised view of what matters most to you for specific movements such as running and walking. Per my understanding from googling up what the 21-day habit forming thingy is about, I found out that it actually takes at least 21 days to form a habit. This prompted me to kick start my very own 21-Day Challenge - Keep Moving and Keep a Healthy Lifestyle. 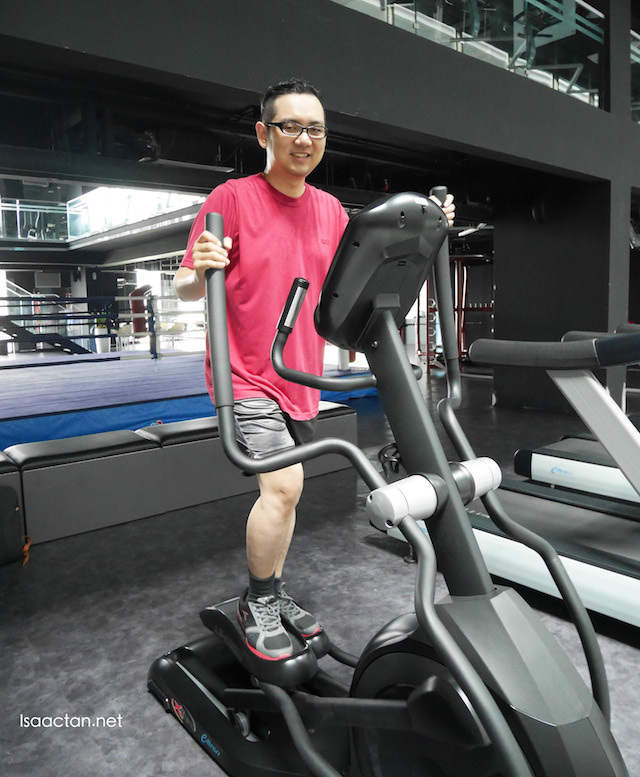 I decided on the moving part, where I'll walk, run or sometimes hit the gym equipments to put in more movements. A combination of healthy eating incorporating the healthy Anlene Milk is a must as well. 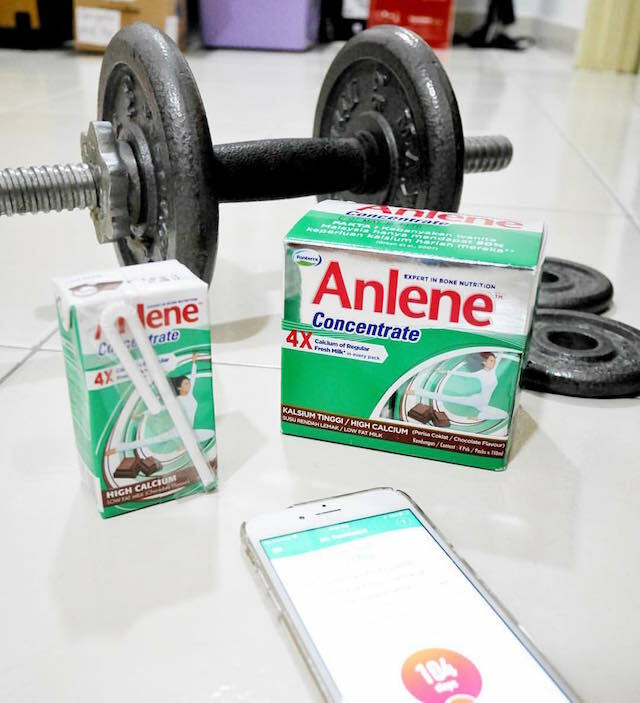 For this I chose Anlene Concentrate, to both improve my bone strength and overall well being. Gone are the days that Anlene only caters for the ladies, men can drink it too! 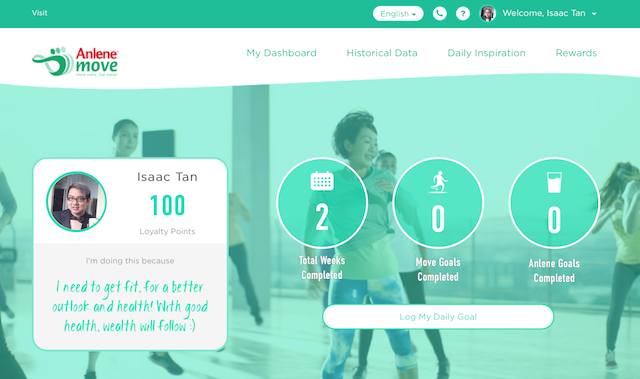 One very good motivator available in AnleneMove would be their Rewards section. Achieving your goals translates to rewards and loyalty points, and these in turn can be accumulated and exchanged for items that are good for you. A few rewards caught my attention, namely the stability balls, 1 month KFit membershop and many more on their site. Check out the video below on everything you'll need to know about AnleneMove. Available on iOS and Android, you can download the AnleneMove app from Google Play and App Store to your mobile devices. 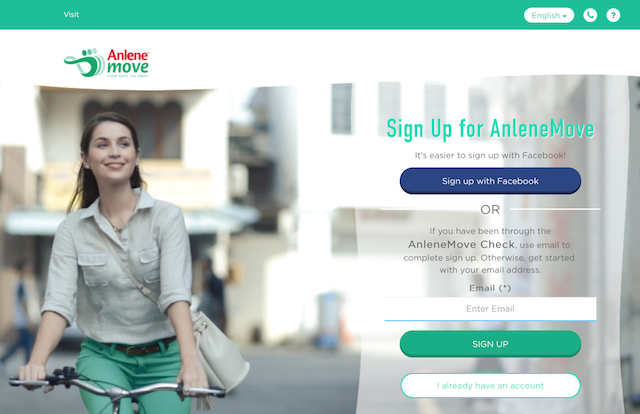 Alternatively, you can also sign up your account via the website at http://bit.ly/AnleneMove. For more information please visit www.anlene.com.my or you can call the help line at 1800-88-3122. That's not all. This post will serve as a GIVEAWAY post as well! Yes, you heard that right. I am giving away 5 units of Anlene Hampers worth RM150 each to those that sign up the AnleneMove program. 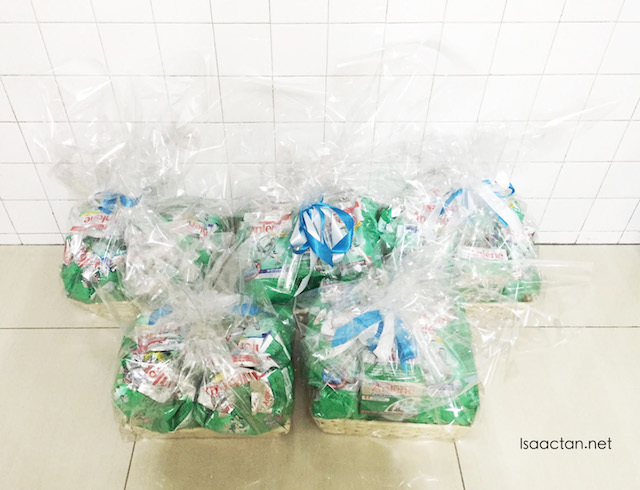 Thanks to the generosity from Anlene, each hamper consists of Anlene Gold with BoneMax (Plain), Anlene Regular with BoneMax (Plain & Chocolate) and Anlene Concentrate UHT (Plain & Chocolate). So download the AnleneMove app now and join the 21-day challenge to stand a chance win one of these hampers! 3. Send the screenshot to me at isaac.tan@gmail.com (remember, it's spelt isaac, not issac), together with your full name, mobile number and facebook personal account link. 4. Contest ends 15th January 2016. 5. Feel free to share your participation on facebook with hashtag #AnleneMove & #AnleneMoveFoodMsia to increase your chance to win. Isaac! Didn't know you were so into fitness. Calcium is extremely important to us, we just don't take enough of it or in the right amounts. Good one man. great story. good luck for those who are joining! Yikes! I'm one of those lazy buggers though I know I ought to start getting fit as age sets in. Start to exercise more often and join us for some fun run on weekend too. What a great motivator to keep healthy and fit. 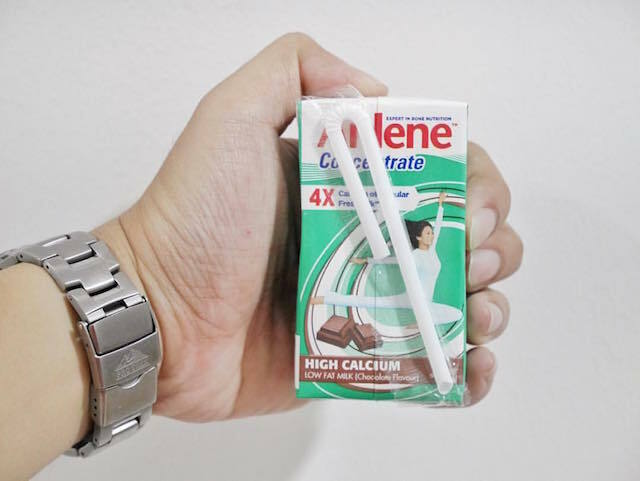 I drink Anlene too but unfortunately, not often enough! thanks for sharing. hope i can win the prize. Good to stay fit. The link http://bit.ly/AnleneMove doesn't work. Page not available.